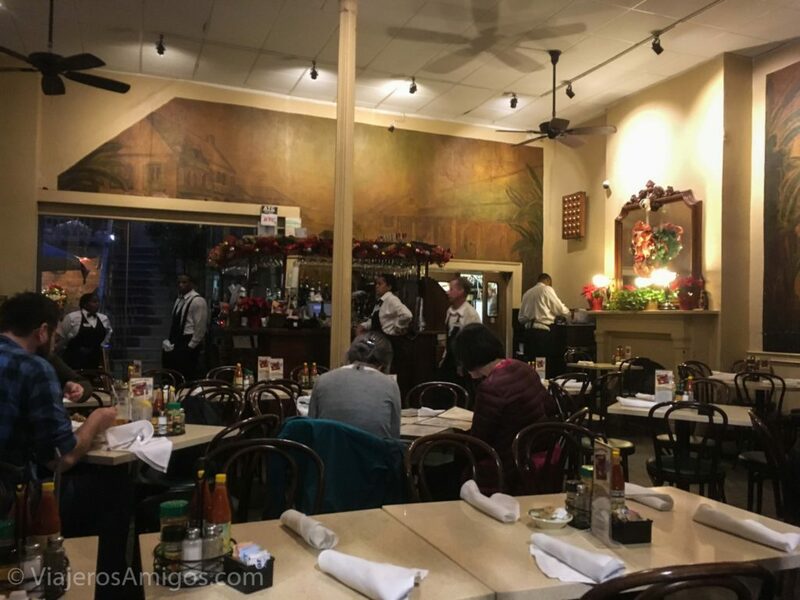 7 Places to Eat in New Orleans - Viajeros. Amigos. 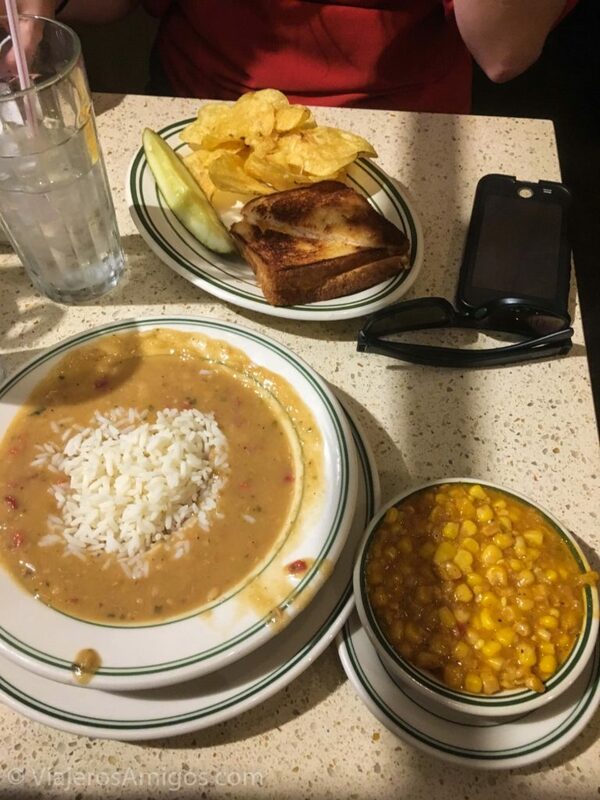 New Orleans is famous for its Cajun cooking. We had to try it out for ourselves…but we also couldn’t eat such strong flavors every day. So without further ado, here are some places we stopped for a bite on our trip to New Orleans. The very first thing we did when we arrived was scope out a place for lunch near where we were staying. Luckily for us, we were only two blocks North of the Trolley Stop Cafe. 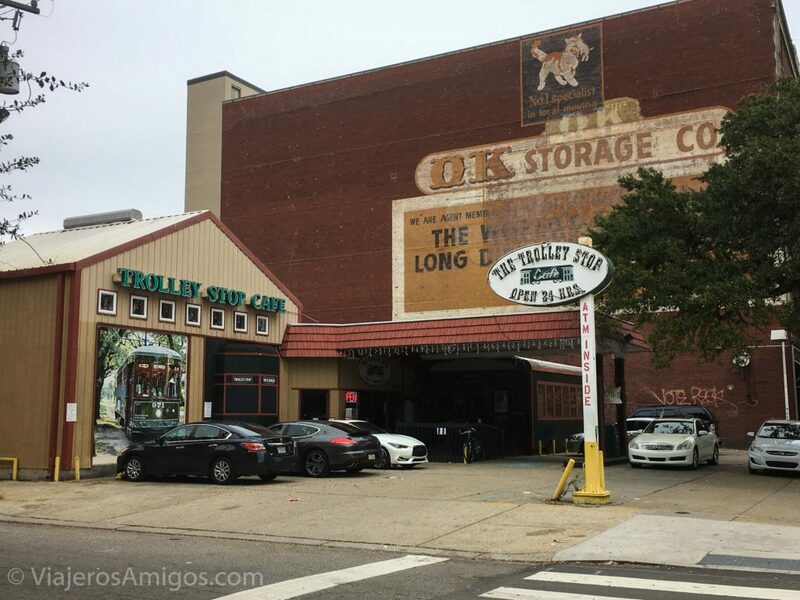 As the name denotes, it is situated right at the site of a trolley stop on the St. Charles line. For our meal we each treated ourselves to a 5-inch catfish po’boy. Katie slathered the different Louisiana hot sauces on hers while I declined the hot sauce. I also got a side of shrimp gumbo with mine. This place was absolutely delicious. For $27.97, we both left the place very satisfied. Now let me tell you about our second lunch visit. We arrived around the noon lunchtime rush, so we weren’t surprised we’d have to put our name in and wait. We were actually seated very quickly, but then waited ten minutes to have our order taken. There seemed to be a lot of wait staff so it wasn’t the ratio of wait staff to customers that was holding things up. 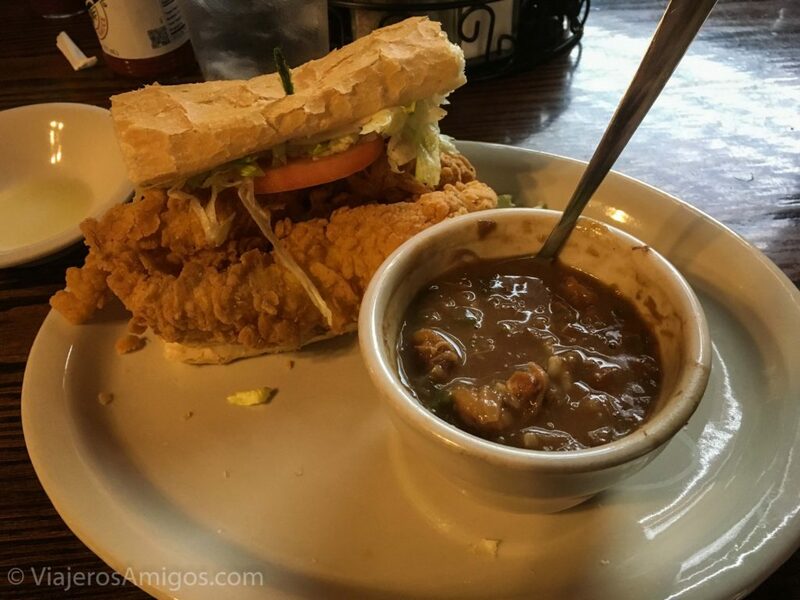 I ordered another catfish po’boy, but a larger size this time. The catfish wasn’t as fried as the other day and the batter was much thinner. Their quality is definitely affected by the mad lunch rush. Now don’t let this discourage you from paying a visit. All I’m saying is avoid it around noon on a weekend. Our first experience was fantastic! 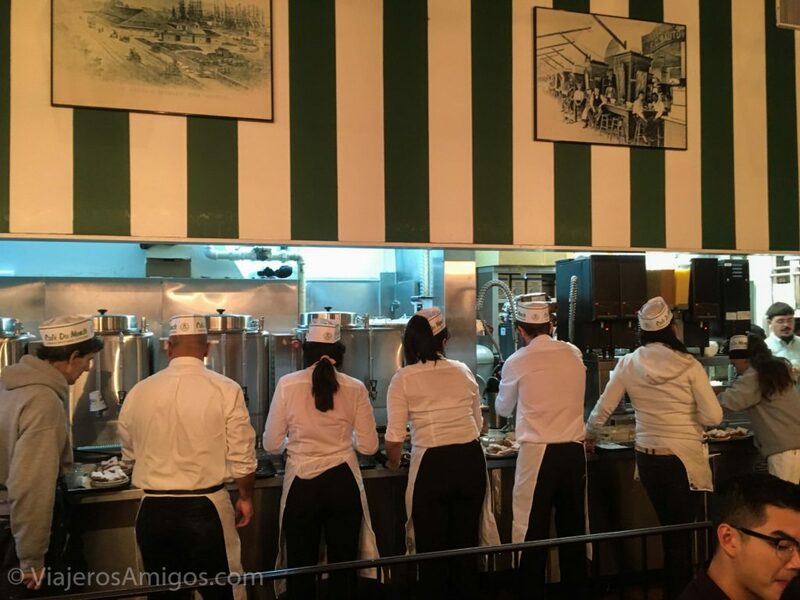 Café du Monde is synonymous with beignets. Their no-frills menu makes it a breeze to order. Popular year-round, we managed to snag a seat immediately during our December visit. 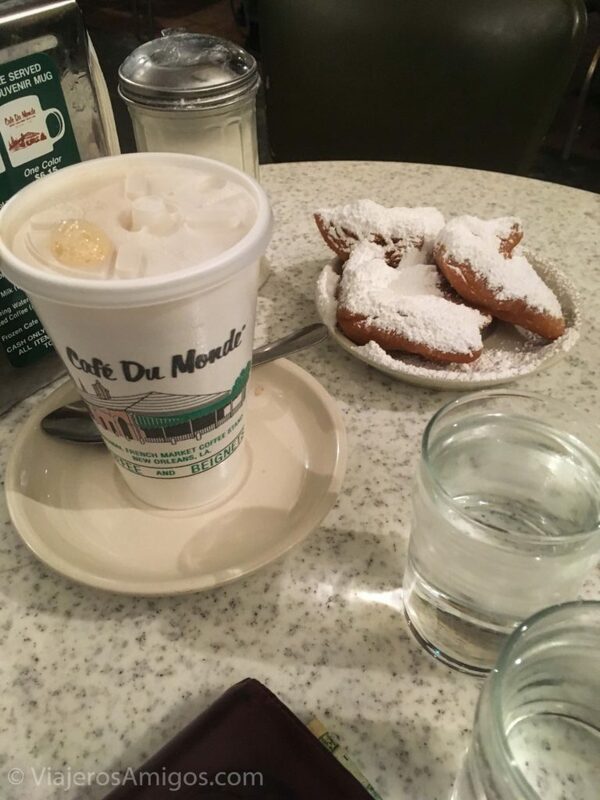 Once you order, you are almost immediately served your beignets, loaded with confectionary sugar. Be sure not to sneeze or you’ll be as white as a ghost. 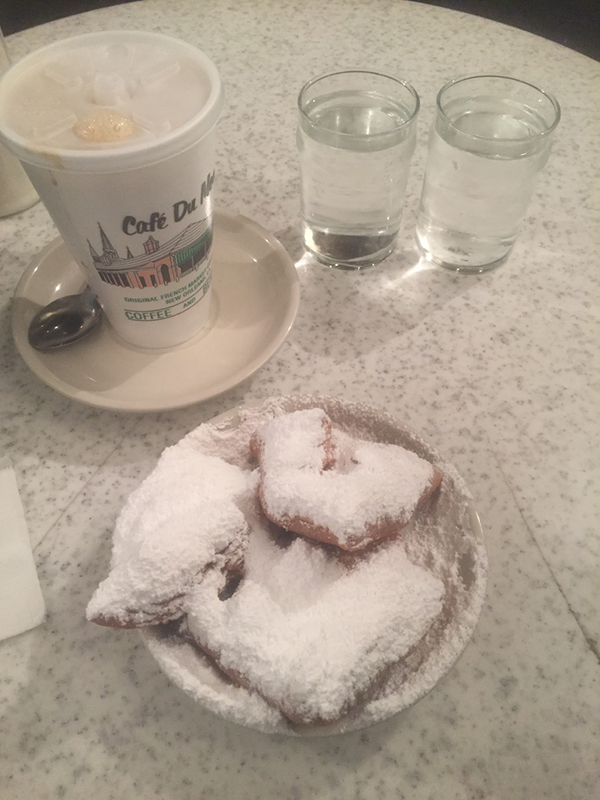 For two beignets and a coffee, we paid $9. The Steamboat Natchez is a steam-powered river boat that runs cruises up and down the Mississippi River several times a day. 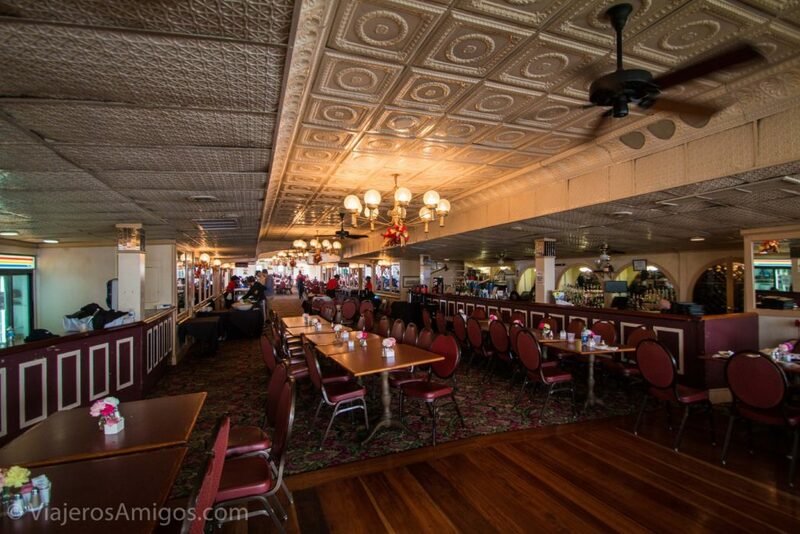 On weekends they offer a jazz brunch which includes a buffet sampling of New Orleans meals (of buffet quality), live music, and a 2-hour cruise up the river and back. At $51 a person, it’s worth the admission. Check website for cruise hours. 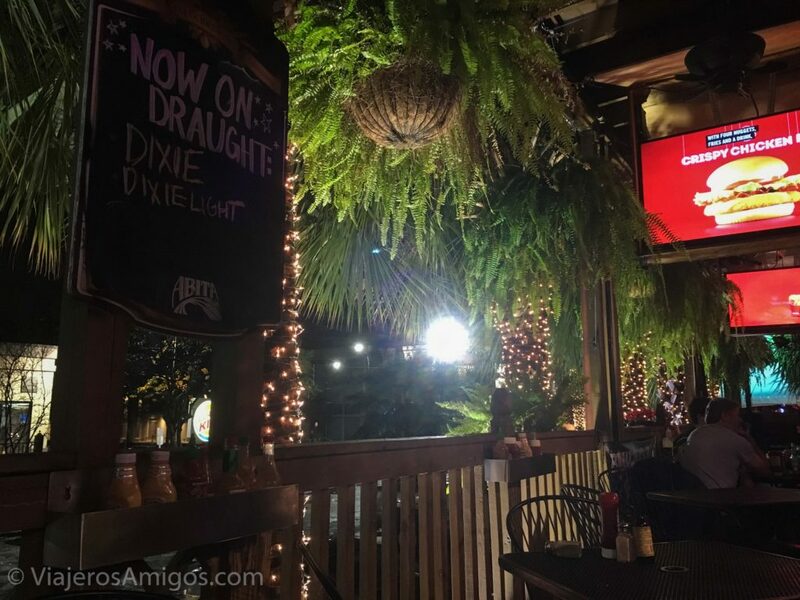 Located East of the Garden District just off the Euterpe stop on the St. Charles line of the trolley, this is the place to go for some good beer and some delicious late-night dinner. They really advertise the oysters they sell, so if you want to eat a ton of oysters, this is the place to be. 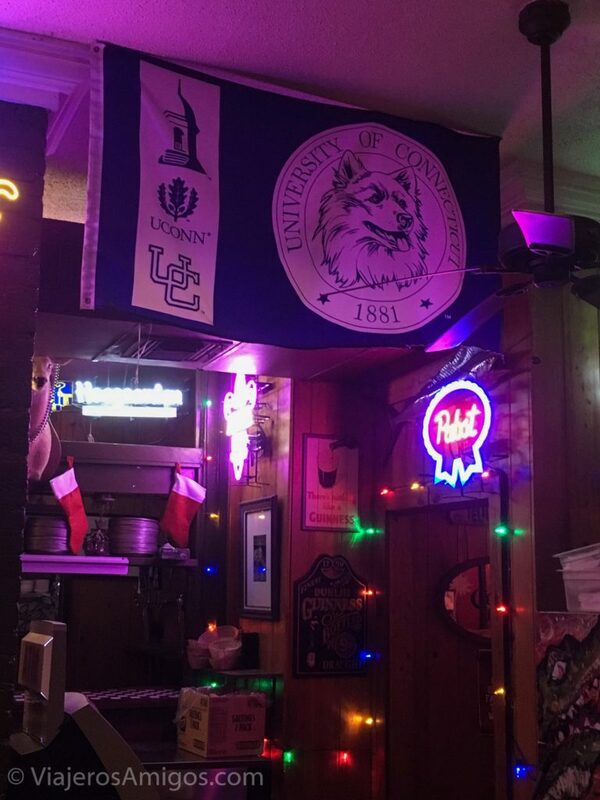 They even represented our alma mater! We asked to be seated outside on a porch that had lots of ferns and greenery. It made for a nice view. What was even nicer was dinner. We enjoyed NOLA Hoppyright Infringement and Abita Parish En Vie beers (both local brands). 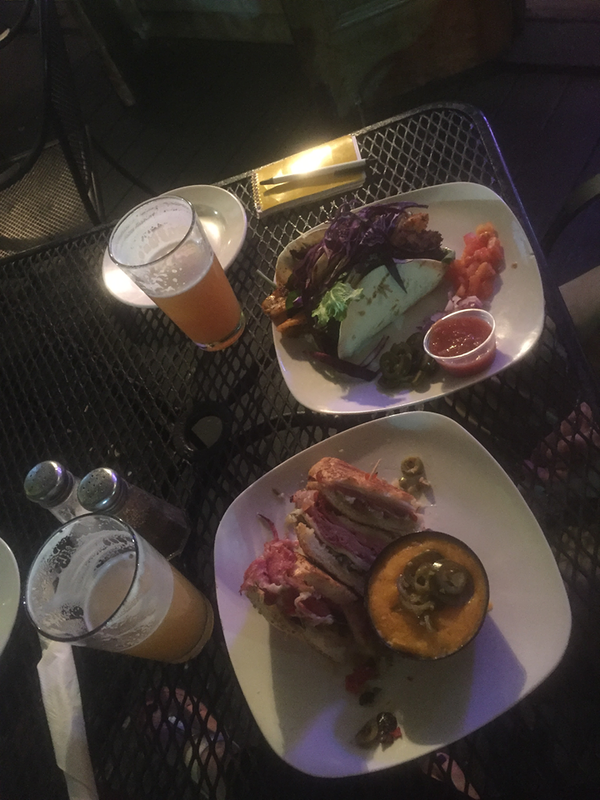 To go with the beer, Katie ordered a muffuletta (a sandwich with three types of meat) and jalapeño cheese grits. She said the muffuletta was delicious but the grits weren’t too good. I ordered blackened fish tacos and sweet potato fries. I’ve had blackened fish before, but this delicious meal was far hotter than any I’ve ever had. If you like spicy food, this place is perfect. Our total bill came out to $53 for a feast. We saw a great band named In Business, and filled up on some mediocre Mexican food. For $18 bucks for the two of us, we can’t complain. 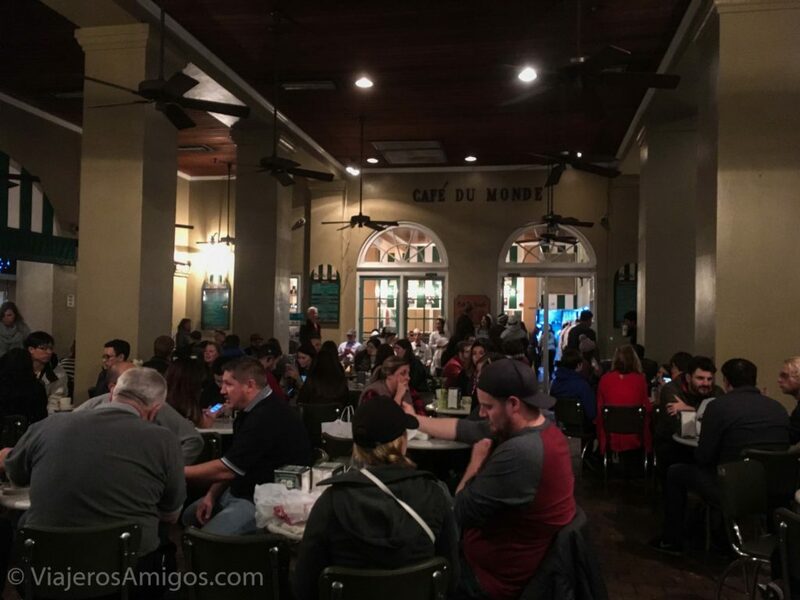 This restaurant in the French Quarter rapidly filled up after we were seated. The waitstaff were really friendly and happy to answer our many questions about the menu items. I tried the vegetarian food of the day (white rice and white beans) and the Macque Choux corn (pronounced mock chew). After several days of eating strong New Orleans flavors, Katie went for a simple grilled cheese. Altogether we paid $24.93. Just because you’re in New Orleans doesn’t mean you can’t get an Italian craving on occasion. This place will hit the spot if you’re in a hurry as they specialize in takeout pizza by-the-slice. We stopped in here for a quick bite and ended up with 2 delicious slices of pizza and a large serving of fettucini alfredo for $18. Have any places you’d like to share with us? Leave a comment and let us know! Pingback: Experience History at NOLA's WWII Museum | Viajeros. Amigos.